Anyone doing their best to follow the lightweight shelter thread may recall Reg asking about a pole to replace his stupidly heavy (73g) existing one. Ever the glutton for punishment I said I've have a go and this is the result. I do know that I could have gone lighter but I felt there was no point in simply chasing a number if the end result wasn't fit for purpose. It still had to fuction as the old one did, otherwise you might as well not take one at all. 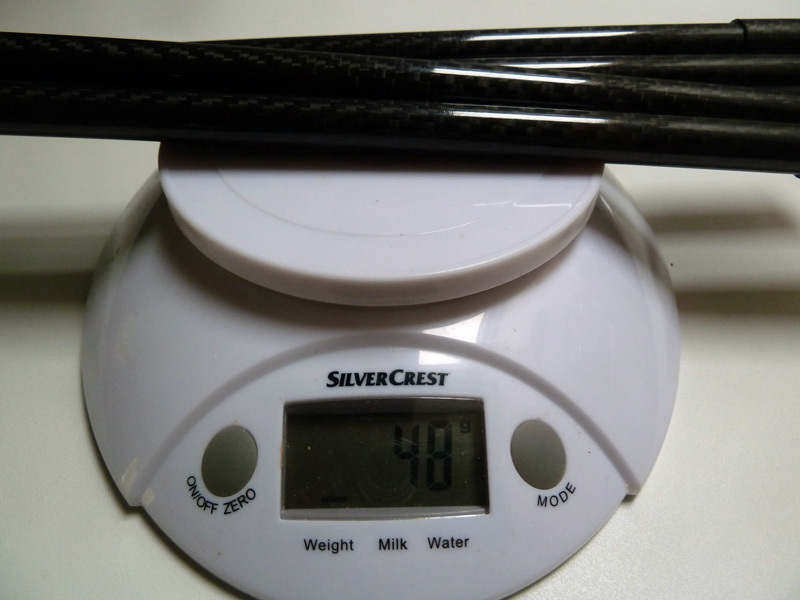 Anyway, reducing wall thickness and using external spigots has resulted in a reduction of around 1/3 in weight - 110cm over all, in 4 sections, 48g. How much it costing?? How much does reg tarp weigh in at?? ^That is such a good name for a product line. Is "RegTarp" a trademark, too? redefined_cycles wrote: How much does reg tarp weigh in at?? Aha.. I'm definitely too young for that. I do remember when cigs was less than 80p a pack of 10 though. Well I don't think I've ever had such a public discussion about my pole! Still, that looks fantastic Stu. Thank you for, er, rising to the occasion and having a go at the World's Lightest Shelter Pole. Obviously at my age I'll be taking every opportunity I can to stick my pole up wherever it's welcome. And probably a lot of places where it isn't. I can indulge these occasional flights of fancy/madness because notice I never turn up in any of those 'I've just splurged on smashing bike X or lovely bike part Y' threads . Thank you again Stuart! Last edited by RIP on Sat Mar 23, 2019 10:38 pm, edited 2 times in total. That'll be the one I got with my Lunar Solo. Thinner than the BB pole, so lighter, but will flex (quite alarmingly at times) under duress. Mine is carried in my Revelate Saltyroll/Harness. Yes definitely not as burly as my BB one, not sure if I’d trust it in a proper storm. I’ll probably get you to make me an extension, I use my BB pole to prop open the tarp style door on the tent. I expect to Use the tarp if it’s nice enough to have the door open. Metalheart can confirm that mine has survived some arduous conditions. Are you using carbon or alloy Colin? The Easton Carbon one. I weighed it - 53g. My biggest issue with it is trying to get a decent tension in the Lunar Solo when it's a bit windy. Tighten everything up too much and the pole just bends. I guess that might actually be saving the tent and guying points from a bit of stress though. I've got the same pole and it's never been a problem. I was surprised how flexy it was when I got it but then have never really thought about it since. This thread got me singing ‘A Day in in the life’ by the Beatles, I’ve now realised it’s holes not poles.